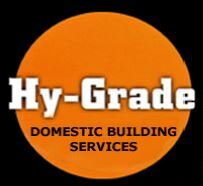 Hy-Grade Domestic Building Services Limited - Bathrooms, Electrician, Kitchens based in Beckenham, Greater London. Hy-Grade DBS Ltd specialises in electrical installation for homebuyers, homeowners and businesses alike. We hold Advanced qualifications in inspection and testing of electrical installation and as such are able to carry out Electrical installation condition reports for homebuyers and landlords. City & Guilds Qualified 2395 Periodic Inspection & Testing, allows us to carry out electrical surveys on existing installations were advanced technical knowledge is required. City & Guilds Qualified level 3 qualified Electricians, so I can work safely in your home to all legal required standards putting your mind at rest. Registered with NICEIC as a Competent Electrician in England Part P Domestic Installer. Registered with as electrical Competent Person Scheme Operator and able to self-certify that all work is compliant with Building Regulations. Fully insured, free accurate estimates, all areas covered.